Weddings are a time for great celebration as two lives are joined. You want your guests to feel at ease in the venue, and that means cleaning it thoroughly ahead of time. As the celebration goes on, little accidents may happen. Cake falls on the floor, some wine might be spilled and the foot traffic will leave any carpet looking less than appealing. In addition to cleaning the venue carpeting before the gathering, you will also need to clean it afterwards, and professional carpet cleaners will help you with the cleaning process. Weddings and receptions don’t have to be held at professional venues. There is a growing movement to save money by having these celebrations in more intimate, private locations. It may be a private home of the bride or groom, or a family property that is ideal for hosting large gatherings. Regardless of the location, you want to be sure that the venue is perfectly clean and ready for guests. Professional carpet cleaners will clean the carpets of dust and dirt while also treating stains. Unsightly marks are removed, odors are eliminated and the carpet is left ready for the guests. There is more to cleaning the location than scrubbing the carpets. You also want to ensure that the upholstery is clean. Professional carpet cleaners can also clean the furniture so it will be ready for guests. 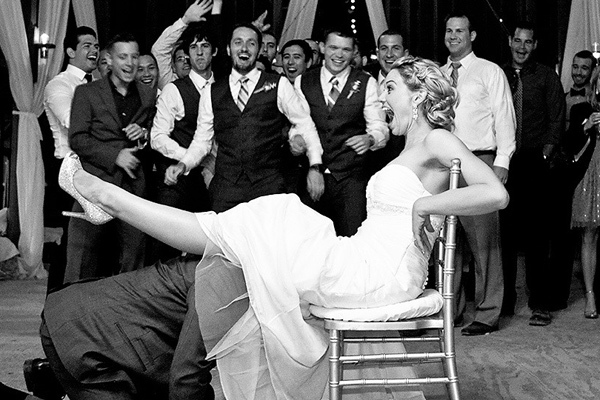 Removing the dirt and grease ensures that your wedding guests will feel comfortable sitting down in a chair and relaxing during the reception. As with the carpets, the professionals can treat the furniture for general dirt, remove stains and eliminate odors. You can spend days preparing the venue, but it’s important to remember that it will get dirty during the celebration. Whether you are renting a venue or it’s your private home, you will want it restored after the gathering. You may not know how to treat the red wine that was spilled on a sofa, but professional cleaners know exactly what it will take to remove the mark. They will vacuum up the dirt that was tracked in, clean out any spills and remove stains. Private venues are restored and cleaned, and you can be confident of getting your deposit back when you have your rented venue professionally cleaned afterwards. With High Quality Carpet, you can benefit from the most thorough wedding clean up services in New Jersey. Our team of professionals will help you prepare for the gathering, and we will also help you clean up the aftermath. Deposits for rented venues are steep, and you can rest assured that your deposit will be returned when you trust our team to clean the carpets, treat the upholstery and make sure the venue is cleaned. If your wedding is to be at a relative’s home or another private location, you won’t have to worry about stains marring their carpet and ruining the memory of this happy event. If you are planning a wedding, call High Quality Carpet today to schedule our services for before and after the event.